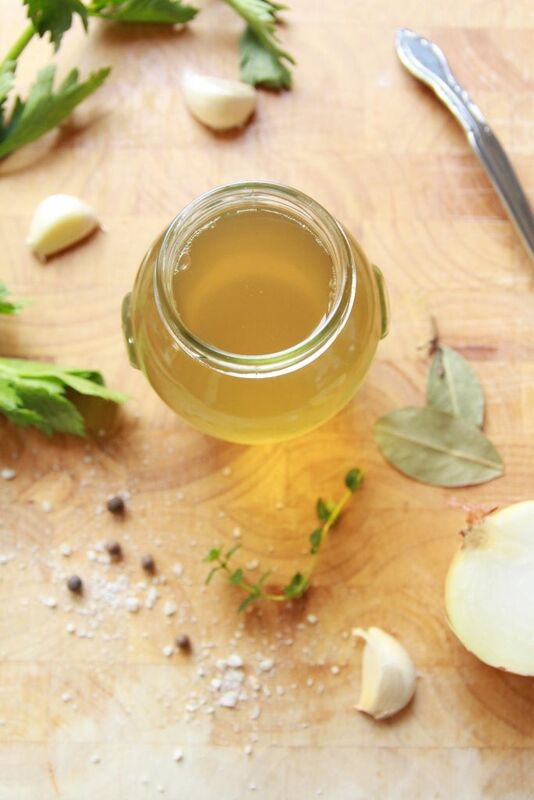 Say bye bye to store bought and hello to homemade vegetable broth. But I can just buy a store bought broth. Yes, you can, but nothing beats homemade. And sometimes you don’t feel like rushing to the store when you’ve run out. It’s convenient, healthy, easy to store, unprocessed, and requires minimal prep time. 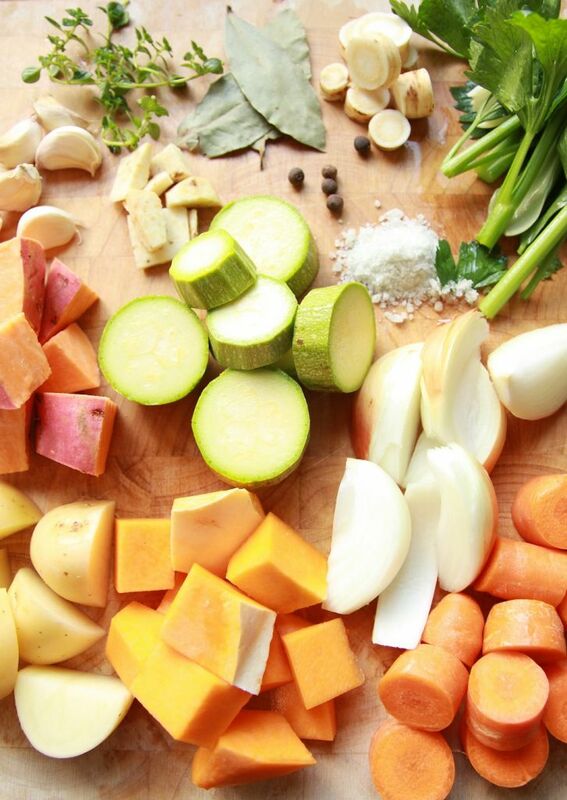 Whenever a recipe calls for vegetable broth, simply defrost the amount needed, and start cooking. It’s perfect for all the busy bees who simply don’t have precious time to waste. Plus, it always compliments a dish. Whether you use it to enhance a soup, or mix it in with a sauce, or bake seitan in it, it’s a handy staple that’s always in my freezer. Wash and cut off the ends of each vegetable, then roughly chop them and place in a pot. Add the water, thyme sprigs, sea salt, bay leaves, and allspice. No need to even peel the veggies. Bring to a boil, then lower the heat and simmer for 50 minutes. When the broth is ready, strain the liquid, let it cool down, then divide it into portion sized bags, and freeze. As for the vegetables, add a drizzle of infused olive oil, a pinch of sea salt, and black pepper and bake them until your veggies are nice and crisp. Nothing gets thrown away! So, the next time a recipe calls for vegetable broth, simply take out the required amount and start cooking. ← The Best Vegan Maple Cake You Have Ever Tried! Great recipe Elinor!! 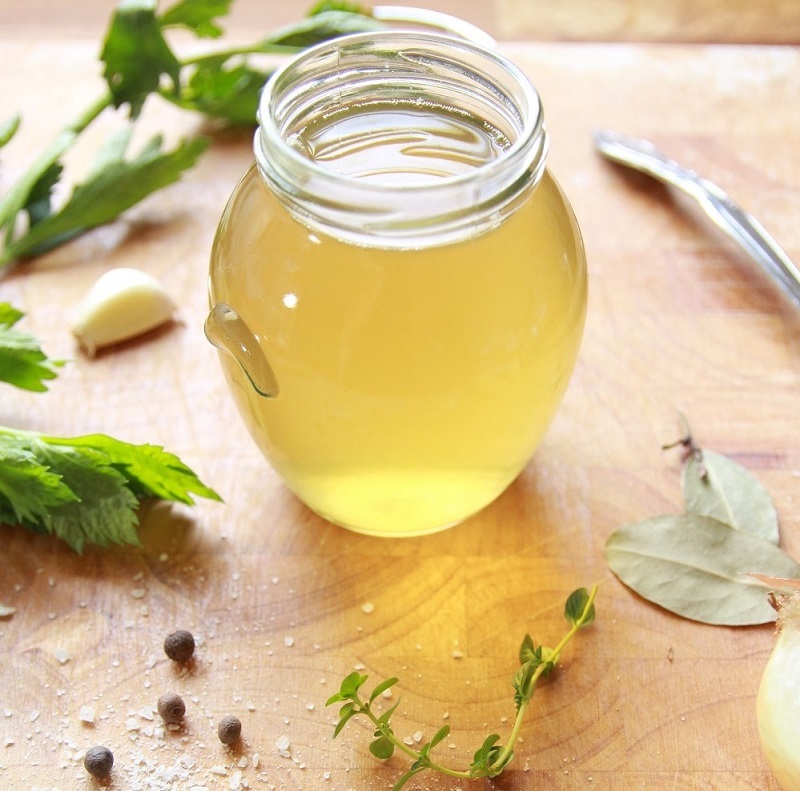 It’s easy and you get the benefit of home-made and preservative free broth! Love the loads of garlic in it!